In major developed cities, you would find lot of taxi drivers working at different destinations to help people to reach home, airport or office. The taxi ride is one among great transportation alternative for people to enjoy a hassle free ride. 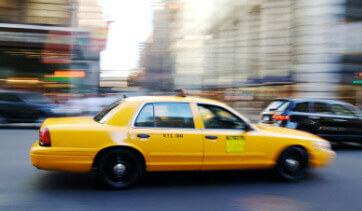 A taxi ride is a stress free ride for many people and also they would not bother about traffic and navigation. Being a taxi driver is not such big thing, however, in order to grab foreign visitors, you need to know various routes to reach passenger’s destination. In many developed cities, people say that every cabbies should use taxi meters and advance mobile technology for taxi booking. So that you could dispatch taxi more fast and also this would allow you to get paid through credit card. Taxi drivers can earn more by helping passenger to get back their latter luggage at the end of the trip. In order to be a good cabbie, you require to hold a valid driving license as well you need have an authorized operating license within particular city limits. This will certainly avoid cabbies crowd in particular area of the city and also you never miss valuable customers. However cabbies should know about whether limited number of authorized license provided. Getting around the taxi ride is more enjoyable and beneficial for everyone since it helps to save money and time. Taxi rides are indubitably less expensive when compare about parking vehicles in public area for some hours. Many professional people would find cabs to travel rather than preferring bus or any other alternative transportation, since that involved in too much stress. There are several industries using technology for enhancing business. In order to become a good taxi driver, you should meet mobile and web based taxi booking and dispatching which could make your passenger fast and simple of hailing cabs.